Your family will be ready for any emergency. 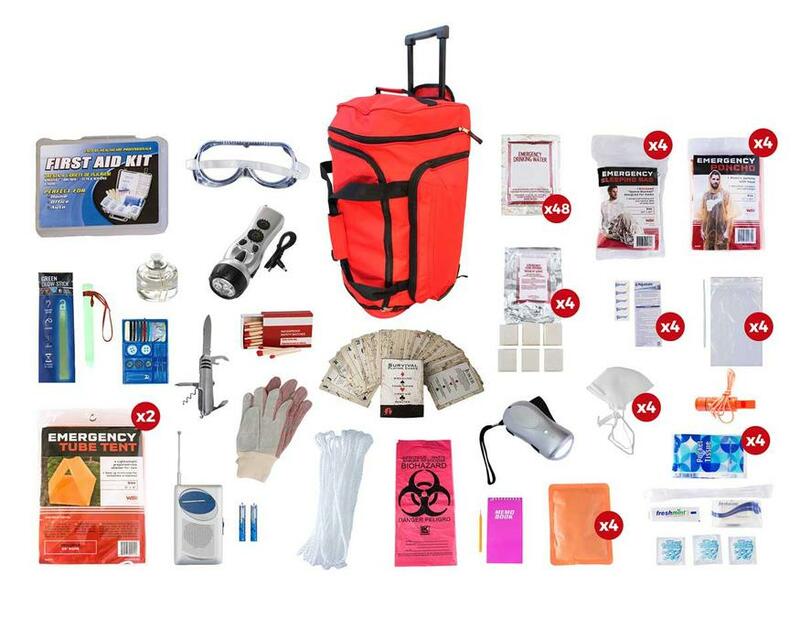 All items in this 4 Person Elite Survival Kit are packed in a Large Wheel Bag. This large duffle bag features multiple pockets and wheels for easy mobility. Individual components are placed in waterproof bags and neatly organized in the wheel bag for easy access. Never be stranded without these essential items in the trunk of your car. Hand-assembled in the USA. This kit provides 1 gallon of water per person per day for drinking and sanitation, as recommended by FEMA.